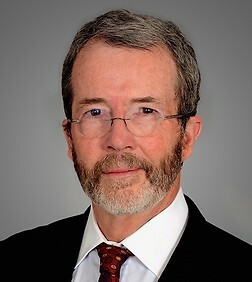 James McGinnis is a member of the Antitrust and Competition Practice Group in the firm's San Francisco office. Mr. McGinnis was formerly an Assistant United States Attorney for the Eastern and Central Districts of California, serving in the Criminal Division from 1984-1988. Mr. McGinnis specializes in complex litigation and white collar criminal matters with a focus on antitrust issues, often in the international arena. His complex litigation experience also includes parallel criminal/civil cases, class actions, securities, mass tort matters, and managing the national defense of 100's of product liability cases. In addition, Mr. McGinnis regularly conducts internal investigations and compliance reviews. He serves as U.S. national counsel directing the defense of criminal and civil litigation for leading international businesses in a wide variety of industries. Recognized by Chambers & Partners and Best Lawyers in America, Mr. McGinnis often has been selected by his peers and the courts as defense liaison counsel in complex multi-district class action litigation. Mr. McGinnis is an accomplished trial lawyer and has extensive first chair jury trial experience in complex civil and criminal matters and major mass tort cases. He has been selected to be lead trial counsel in four major cases for Samsung Electronics Corporation or Samsung SDI. In over 35 years of practice, Mr. McGinnis has tried 40 cases, 22 of which were trials in state or federal court. Chambers USA 2015 noted that "peers praise his abilities as a trial lawyer, highlighting that he is 'very good at handling complex antitrust issues in a courtroom.'" Chambers USA 2016 described him as "a superb lawyer in terms of class action defense," and noted that he is "a terrific strategist with great litigation judgment." He was described by a client in Chambers 2018 as "a terrific advocate," recognized for his mastery of government investigations, especially in relation to antitrust statute violations in both civil and criminal litigation. Mr. McGinnis has defended corporations and individuals in criminal cases and grand jury matters involving alleged price-fixing and other anti-competitive conduct, insider trading, government fraud and defense contracting fraud, and environmental violations, among other matters. Mr. McGinnis is regularly quoted in the National Law Journal and other publications on antitrust and class action legal issues. Lead counsel for Samsung SDI America in a class action alleging defects in the batteries for the Note 7 Smartphone. George Schmidt et al vs. Samsung Electronics America, Samsung Electronics Co. and Samsung SDI America (W.D. Wa). Case successfully defended by virtue of successful motion to compel arbitration and dismiss class claims. Secured dismissal of multi-billion dollar TFT-LCD price-fixing claims based on overseas purchases. Motorola Mobility vs. Samsung SDI. National counsel and defense liaison counsel for coordinated antitrust price-fixing class actions. In re Cathode Ray Tube (CRT) Antitrust Litigation, MDL. No 1917. National counsel and defense liaison counsel for coordinated antitrust price-fixing class actions. In re TFT-LCD (FLAT PANEL) Antitrust Litigation, MDL. No 1827. National counsel defending civil and criminal price-fixing charges in the memory chip market. In re Dynamic Random Access Memory (DRAM) Antitrust Litigation, MDL No. 1486 and over 50 cases brought in state courts nationwide. Leader of a highly publicized internal review of a 20+ billion dollar insurance provider. Lead trial counsel for unsecured creditors' committee, successfully defending four objecting insurers' challenges to a reorganization plan with $985 million at stake. The reorganization plan was confirmed after a 4-week trial and the primary objecting insurer agreed to pay an additional $1.15 billion after closing argument. In re Western Asbestos Company, (N.D. Cal. 2004) No.02-46284. California counsel defending a leading amino acid manufacturer against price fixing charges in federal MDL proceedings and California state coordinated litigation brought by direct and indirect classes as well as opt-out plaintiffs. In Re Methionine Antitrust Litigation, MDL No. 1311 (N.D. Cal. 2000) (Cal. Jud. Council Coord. Proc. Nos. 4090 and 4096) (2000). Lead counsel for a pharmaceutical-buying cooperative in California coordinated antitrust litigation challenging the distribution of prescription drugs. In Re Brand Names Antitrust Litigation (Jud. Council Coord. Proc., San Francisco, 1996). Lead counsel for a national department store retailer, defended against charges of price fixing in women's cosmetics brought in coordinated California state court proceedings. In Re Cosmetics Antitrust Litigation (Jud. Council Coord. Proc. 1998). Lead counsel defending a national department store company in federal and state court litigation brought by garment workers from the Island of Saipan. The putative class contained 50,000 members and sought to bring numerous charges based on alleged sweat shop conditions and improper labeling and advertising of garments. Doss v. The Gap, et al. (C.D. Cal. 1999 and (S.F. Superior 1999)). Trial counsel defending the chief financial officer of Ramtek, a Silicon Valley computer monitor component manufacturer, against class action claims. Also defended this client against criminal charges and SEC enforcement proceedings. In Re Ramtek Securities Litigation (N.D. Cal. 1991) and U.S. v. Adams (N.D. Cal. 1994). Lead counsel defending president and CEO of accounting software manufacturer in class action and SEC proceedings against charges of improper revenue recognition in software sales. In Re Platinum Software Securities Litigation (C.D. Cal. 1995). Mr. McGinnis is a regular speaker and contributor to bar programs in the antitrust and white collar fields.